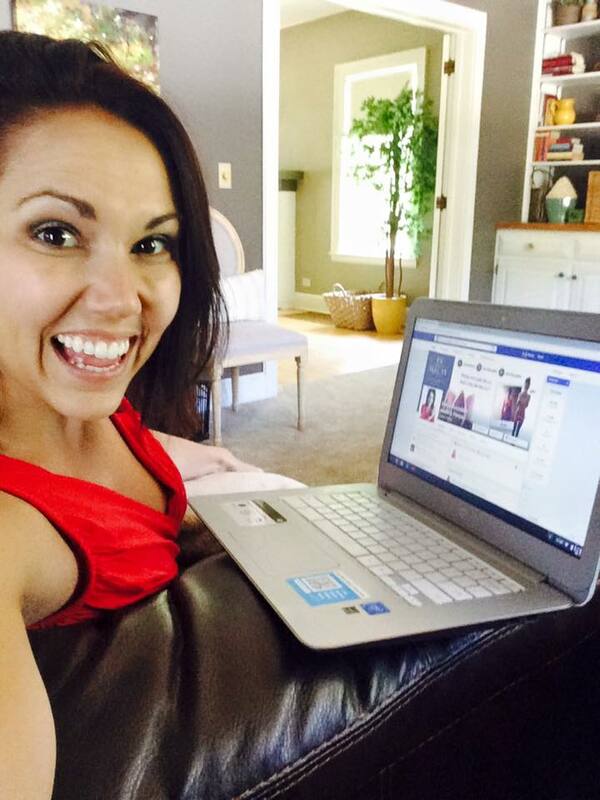 Aleena Rooyakker Health & Fitness: Working From Home: The Freedom to be Your Own Boss! Working From Home: The Freedom to be Your Own Boss! As I casually walked into my living room just now to do some work, I got to thinking...my life is drastically different than it use to be! I should start by saying that I've always enjoyed my full-time jobs outside of coaching. I use to be a nanny and I got to spend my days raising little kids! Working with children has always been a true passion of mine. I was blessed to work for some incredible families who I love to this day as my own! However, being my own boss and working on my own schedule is the BEST!! I use to have to set several alarms in the morning to be sure I would wake up in time for work...NOW, I wake up when I want to! I use to have rush out the door and battle with traffic every day, always stressed out that I wasn't going to get to work on time ...NOW, I wake up casually, brew some coffee, read a little bit of a good book, and my day starts off calm and stress-free! I use to work for other people and have to request vacation time when I wanted to go somewhere (and as is typical with most jobs, PTO was limited)! Not to mention, since I worked with families, I would get serious anxiety over inconveniencing them with my personal plans...NOW, I can go anywhere, anytime, and choose to bring my work with me (or not to!) and never have to worry about losing income! STRESS-FREE! I use to spend so much time and money commuting to and from work every day...NOW, I hardly spend any money on gas and I have a ZERO minute commute, which means extra time and money I can spend actually doing the things I love to do that I never use to have time for! You've probably seen my hashtag ‪#‎yearofcreatingFREEDOM‬ that I use every day--and THIS is exactly what I'm talking about! FREEDOM to do the every day things that we all do to the beat of YOUR OWN DRUM! FREEDOM to work where you want, when you want, from wherever you want! FREEDOM to live life on your own terms!! FREEDOM to freakin pour yourself a nice glass of wine on the job if you feel like it! These are the ways my life has changed over the past year and a half since I became a coach! And coaching may or may not be for you--but I encourage everyone to take a true, hard look at what you are doing now and ask yourself if FREEDOM like this is worth pursuing for YOU and YOUR FAMILY!! Opportunities are knocking at your door, the only question is whether or not you will open it!! Is Hello Fresh a Good Investment? No More Competition! We are Better Together! You Are Awesome! OWN IT! © 2015 | Aleena Rooyakker | All Rights Reserved. Simple theme. Powered by Blogger.